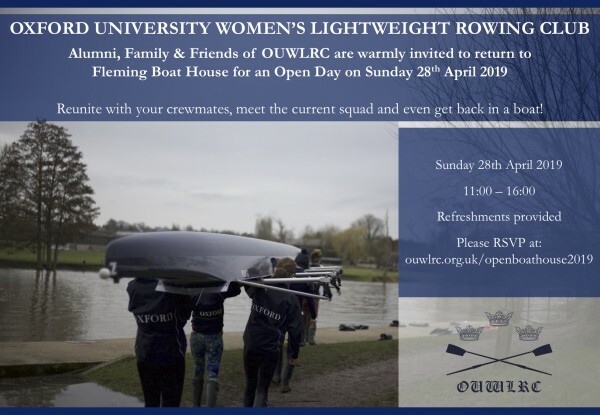 Alumni, family and friends of OUWLRC are warmly invited to an Open Boat House event at the Fleming Boat House, Wallingford. The current President, Naomi Holland, and Executive Committee warmly invite all alumni members of OUWLRC to return to Fleming Boat House for an Open Day event on Sunday 28th April, from 11:00-16:00. 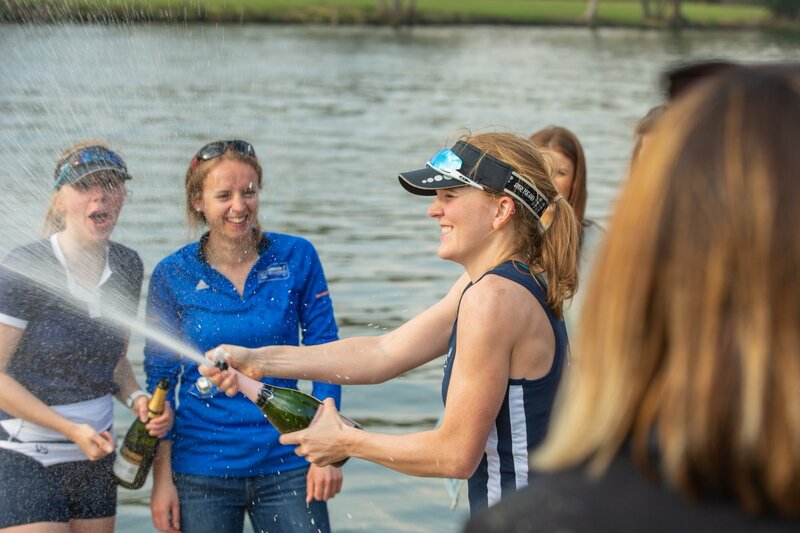 Meet up with your old crewmates, reminisce about your time rowing, coxing and training with OUWLRC and get the chance to hop back in a boat! Please bring along any photos you have of your time with OUWLRC for our picture board. Refreshments for lunch will be provided, please indicate any dietary requirements when registering for your ticket. Registration is free, although a voluntary donation to the Topolski Fund to help secure the future of OUWLRC would be gratefully received. For more information on the fund and to donate, visit the website here. Please share with your crewmates and friends from OUWLRC, we look forward to seeing you all! Please sign up to attend via this link.